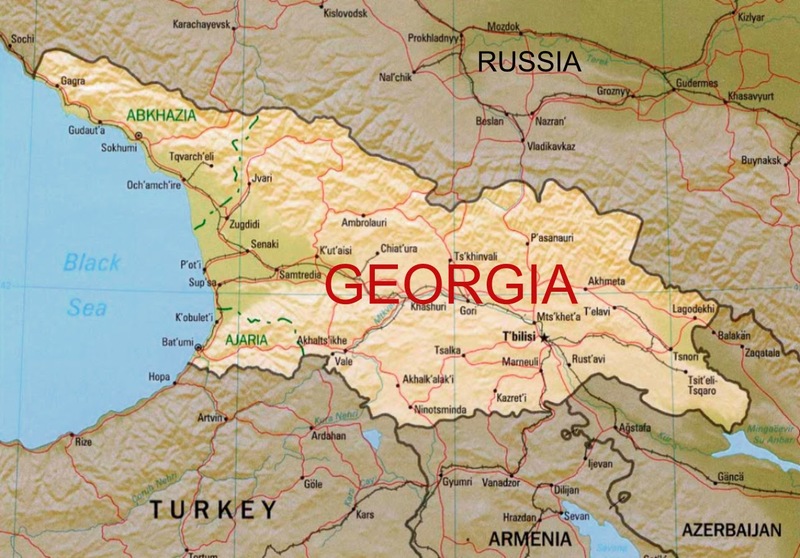 Far from home, Georgia, Kakha, an artist, has been in Canada for twelve years and Marita, a well known Georgian designer, more recently. 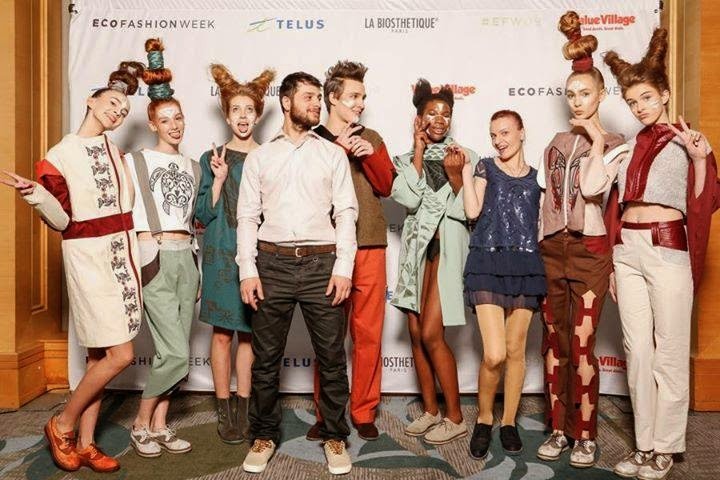 Having been invited to Vancouver Fashion Week, Marita met Kakha and the two put those brilliant minds and creative talents together to create FESVEDY. 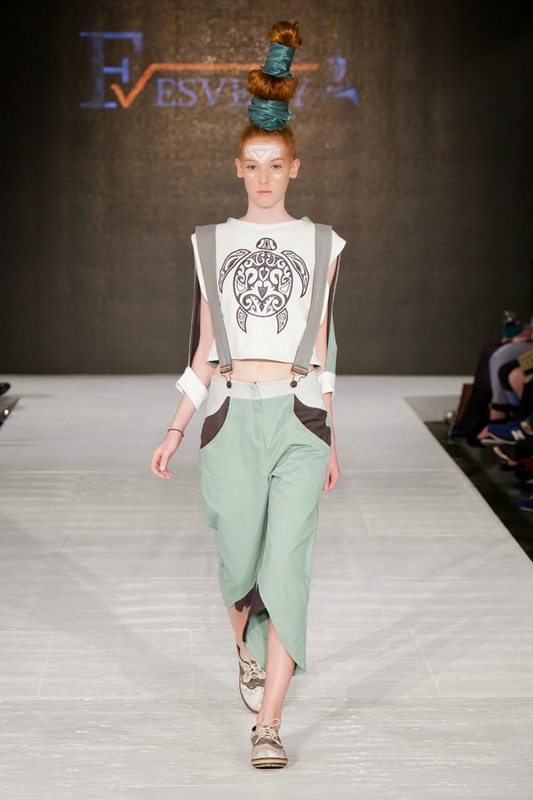 This line, shown at Vancouver Fashion Week and ECO Fashion Week, can also be found on British Vogue: here. This very graphic collection makes the eye travel and is a rich visual record of Georgian history, culture, language and symbols. 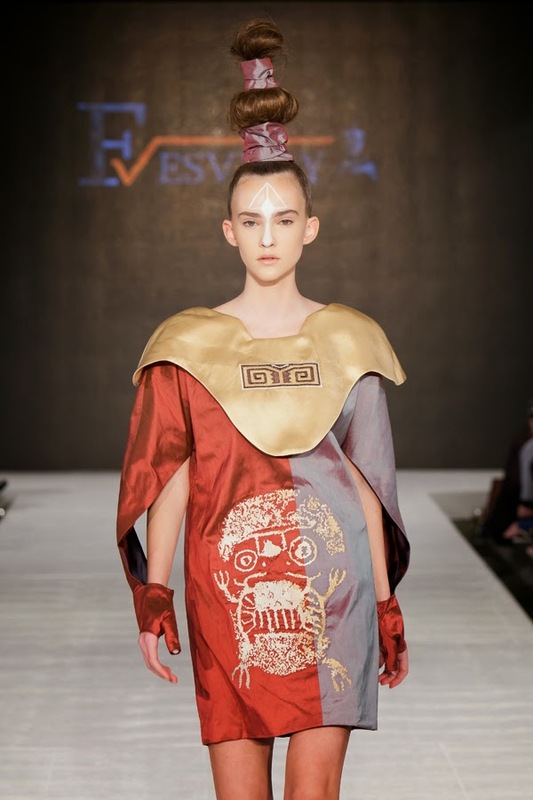 The name, FESVEDY is a descriptor for Medieval Georgian clothing. 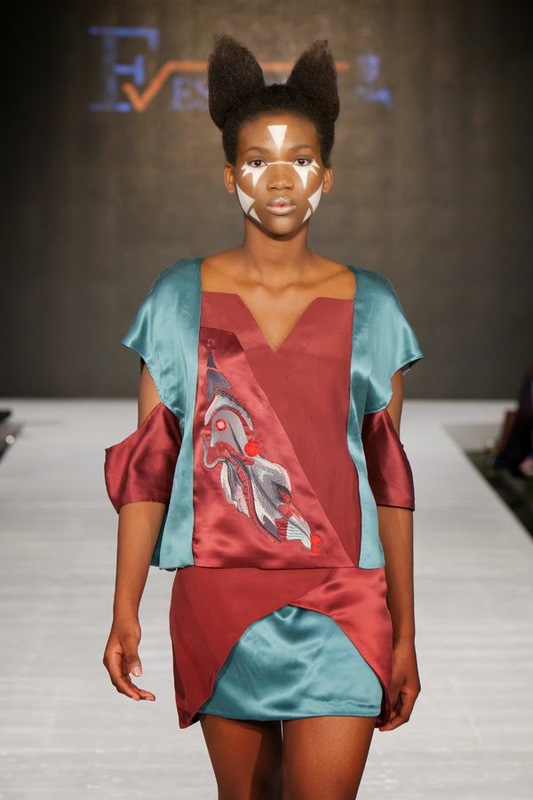 As the models came down the runway, there seemed to be an overall hush, a collectively held breath from an audience, awed by the colors" icy blues, silvers, reds, royal colors, but also colors of the environment: browns, greens, sky blues. This line is like a moving library of history, art and eco friendly textiles, spiritual, old and new world. Marita and Kakha are inspired by the geometry and economy of design of Aboriginal Art, particularly in Vancouver and this, too, is reflected in FESVEDY. Their dream is to become known world wide and with their unique apparel for women and men, this is very likely to happen. They even incorporate their designs on the shoes that match each outfit. 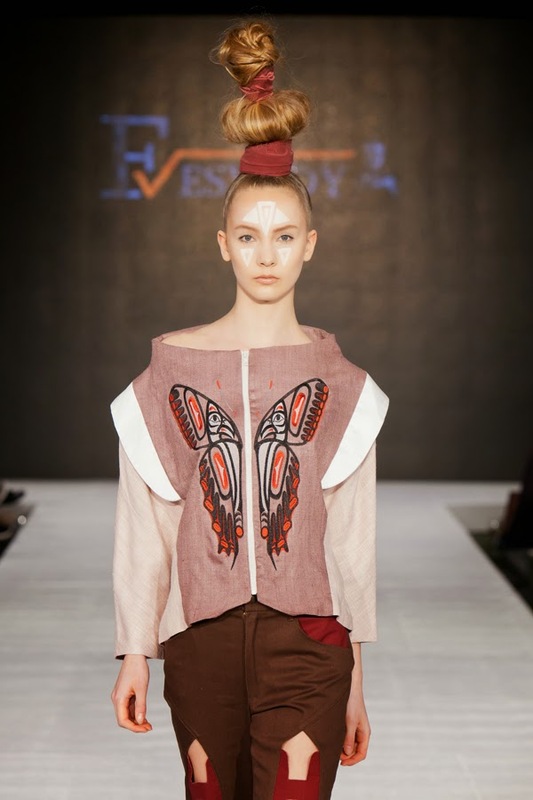 Made and produced in Vancouver, FESVEDY is true blend of past and present as well as a sharing of cultures. I look forward to seeing FESVEDY ART WORLD EXPO, Friday, May 1 at Science World. There you go - the ART and SCIENCE of Fashion!